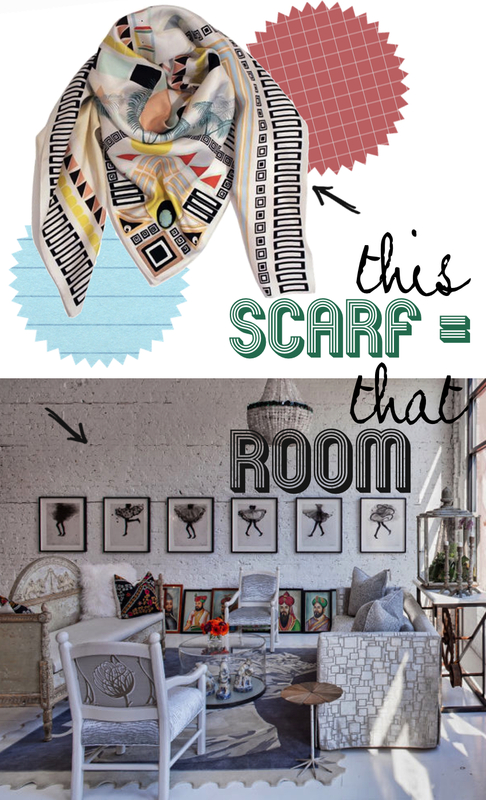 Scarf: Geometric and art deco inspired HEART HEART HEART printed Scarf w/Leather available at Opening Ceremony / Room: Julia Edelmann from Buckingham Interiors + Design‘s showroom. A perfection of eclectic pieces combined in a way that is clean, vintage-inspired, opulent, and yet somehow uncluttered and aesthetically pleasing. Image found HERE. Scarf: You probably have seen him before: an elegant man wearing a traditional turban acting in movies, especially those of Wes Anderson. Born in India, Waris Ahluwalia now lives in the United States, where on top of his acting career, he designs jewelry inspired by Love and History. Despite his lack of training in the craft of jewelry, his passion and instincts enable him to design eclectic and creative pieces, made in between Rome and Jaipur. Purchase HERE. 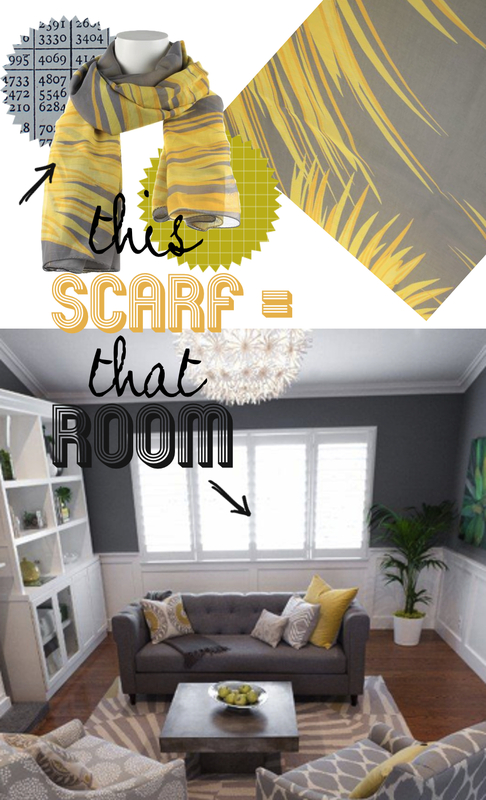 / Room: Modern living room from FOUND design, whose mission is to repurpose your home using existing new and objects! HERE. Scarf: Wool-blend scarf by Lily and Lionel featuring photographic blue tinged London skyline print and frayed edges. Found HERE. 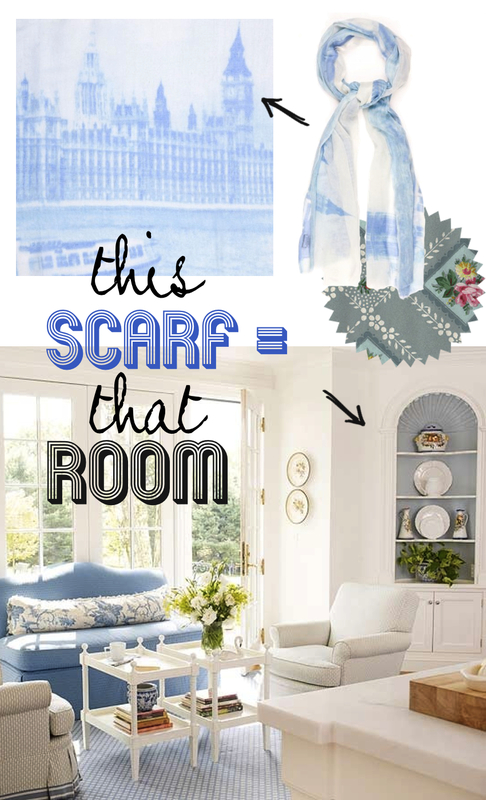 / Room: Cornflower blue is a great shade for softening a living area. This pale shade of blue works well with creamy white to create a soothing contrast and a countryside feel. Image found HERE. 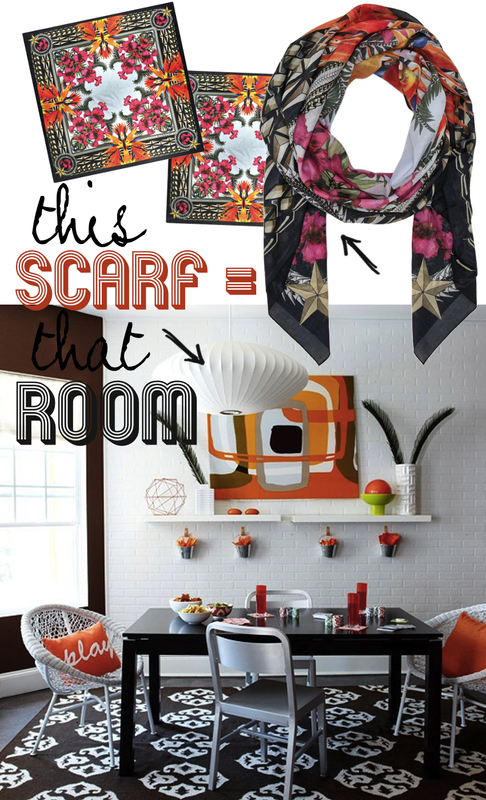 Scarf: Room: GIVENCHY Birds of Paradise Flowers Scarf. Found HERE. / Room: An East Coast condo on Myrtle Beach, this abstract dining room gives instant energy. Image found HERE.